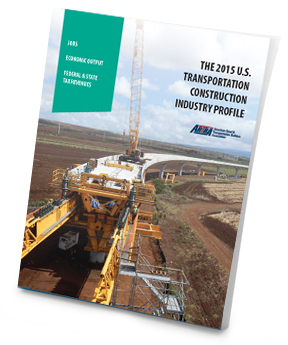 The 2015 U.S. Transportation Construction Industry Profile report examines how public investments in the United State’s transportation infrastructure stimulate business activity and government revenues throughout the nation. A concise overview of the transportation construction industry’s direct and induced impacts on the U.S. economy. A look at the industry’s economic impact in each state.